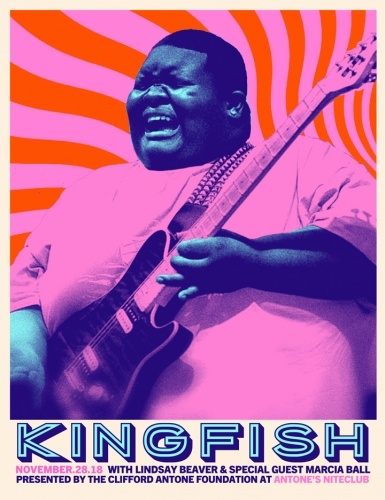 JUST ANNOUNCED – Up-and-comer Blues guitar prodigy Christone “Kingfish” Ingram will play the Clifford Antone Foundation’s Fall Members Event at 6pm on Wednesday, November 28th at Antone’s Nightclub with opening act Lindsay Beaver and special guest Marcia Ball. We’ll be sending further details and an Evite for RSVP’s in the coming weeks. We hope you can be there for this amazing display of emerging blues talent!